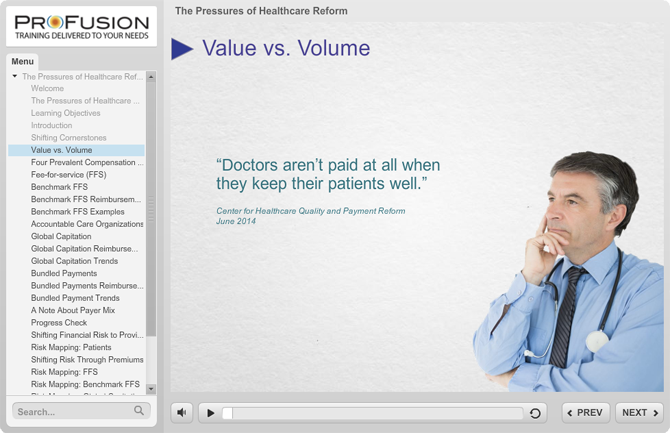 The Pressures of Healthcare Reform discusses how the evolution of today’s marketplace impacts the way providers are reimbursed for their services. 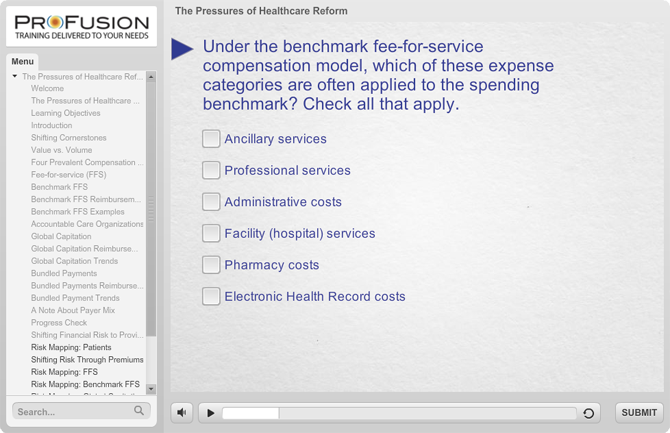 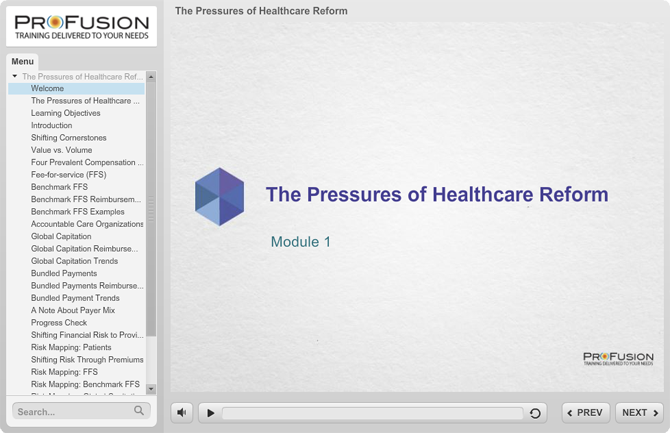 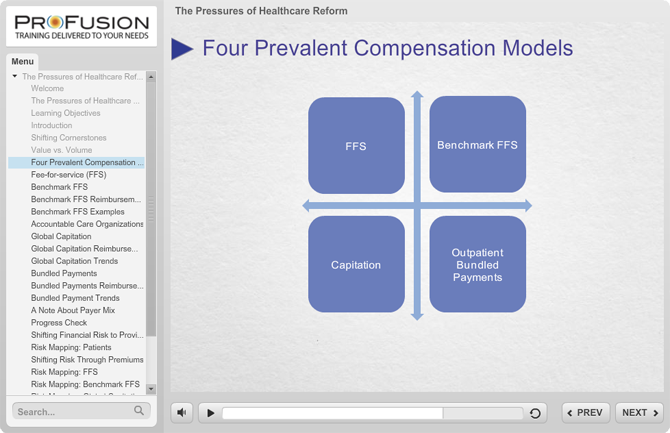 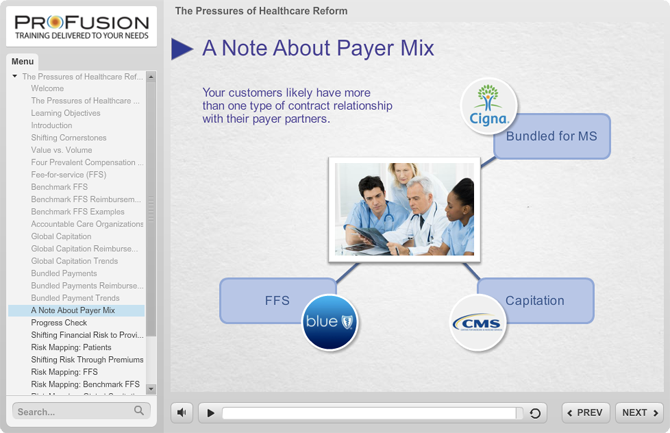 Though there are many details that go into the reimbursement process, this module takes a macro view of the healthcare landscape. 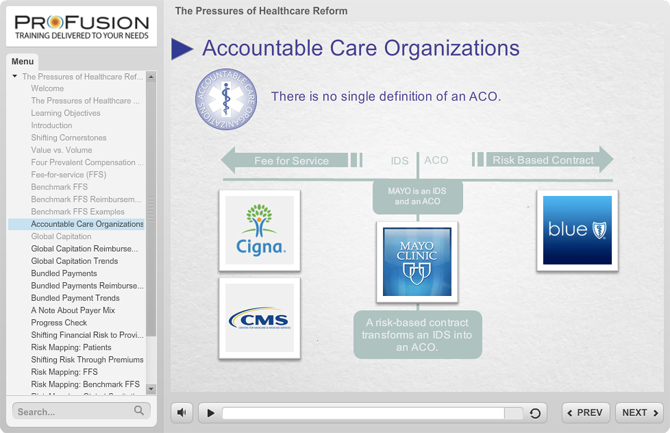 The Pressures of Healthcare Reform begins by describing the traditional business model followed by most providers as they functioned prior to healthcare reform. 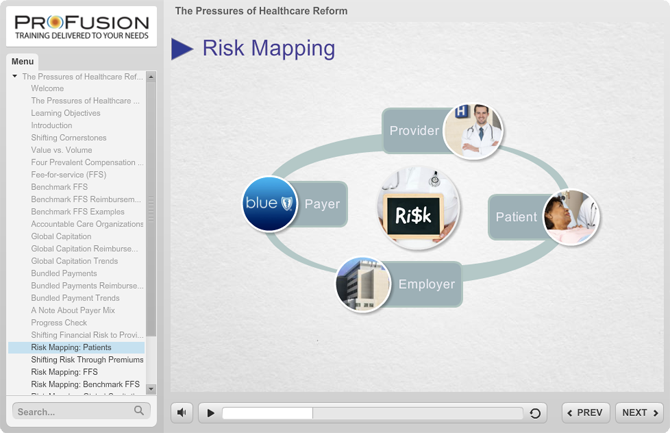 It will then describe how traditional business operations are being forced to change by marketplace pressure, particularly the shift of financial risk from insurance companies to healthcare providers.